(b. b. 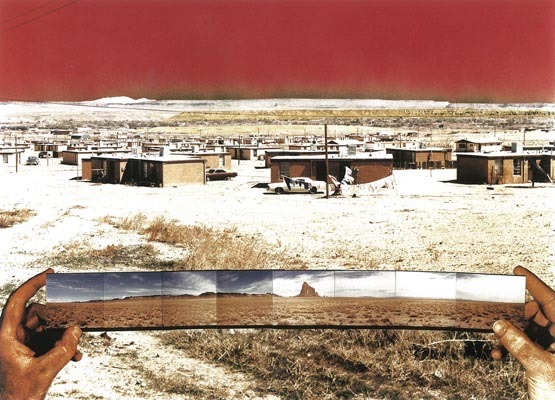 1945, Chicago) On moving to Albuquerque from Los Angeles in 1987, Patrick Nagatani began examining the impact of the development of nuclear energy and attendant industries on the cultural and physical landscape of New Mexico. The series Nuclear Enchantment consists of forty photographs, three of which are on view in Unsettled Landscapes. These key photographs from the series emphasize the impact of uranium mining and radiation on the land. 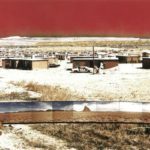 The descriptive titles identify specific places in the state, while the use of photomontage and color enhancement highlights the sometimes imperceptible scars on the land.